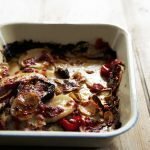 Looking for some scrumptious vegetable based recipes? Look no further. 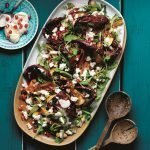 This roasted chermoula aubergine recipe even has a little sweetness thrown in with our fruit of the month Pomegranate. Preheat the oven to 180ºC, gas mark 4. Halve the aubergines lengthways and score deeply in a criss-cross pattern. Spread the cut sides with Belazu Chermoula Paste and place on a baking sheet. 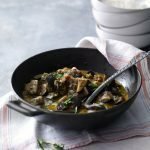 Drizzle with a little of the Belazu Early Harvest Extra Virgin Olive Oil and bake for 30–40 minutes until dark and tender. Meanwhile, place the Belazu Barley Couscous in a large bowl and pour over the hot stock, lemon zest and juice. Set aside until the stock has been absorbed then stir in the mint, salad onions, feta, pomegranate and remaining oil. Scoop the centre out of each aubergine half, leaving the skin intact. 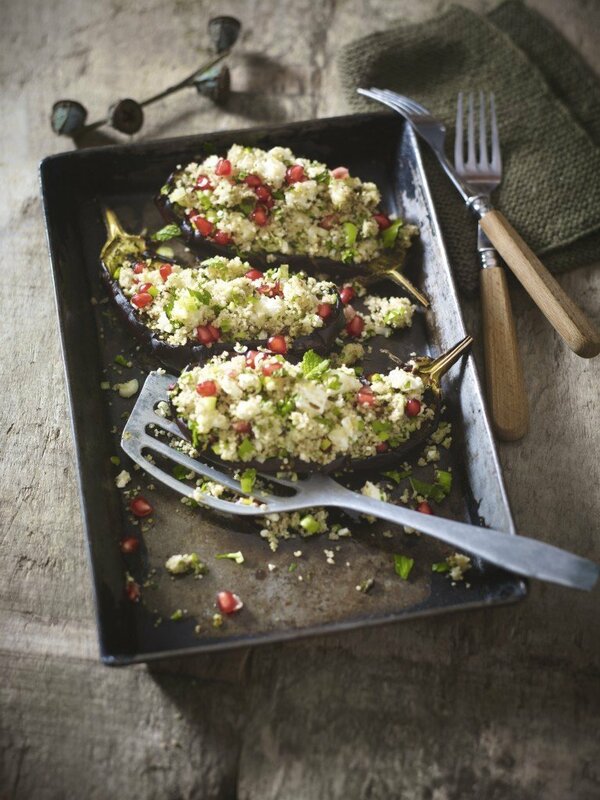 Roughly mash the removed flesh and stir into the couscous, then spoon the mixture back into the aubergine shells. Serve just warm. For more vegetable based recipes, check out the Waitrose recipe page.